Groundswell uses public art—mural making—as the vehicle for youth to explore themselves and the issues they are facing. When a colleague in philanthropy offered to introduce me to Robyne Walker Murphy, executive director of Groundswell, a community mural ‘art for change’ program based in Brooklyn, NY, I jumped at the chance. After interviewing Robyne, it was clear we shared a belief in the power of art to give voice to what needs to be expressed—exactly why we chose to use graffiti as the medium of self-expression in our game, Shadow’s Edge. “Art gives them a chance to explore their identity—who they are—and not only how they see their world, but what they can do about it,” explained Robyne. At Groundswell, public mural making is used as the means for positive social change and personal growth. 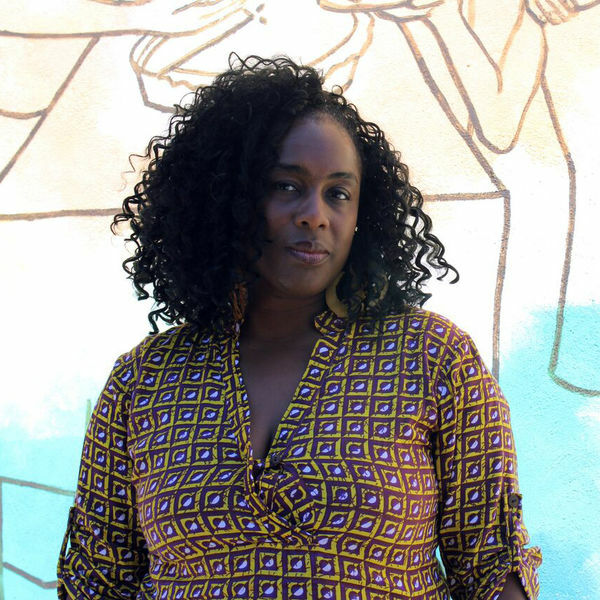 “Creating murals on themes that are important to youth artists ignites these young people’s radical imaginations for personal and societal change,” she says. For 22 years, Groundswell has been working with youth to not just touch others through their art and words, but to actually provoke the change they want to see in themselves and in the world around them. Over these years, more than 500 murals have inspired the residents of New York and covered the walls in all five boroughs of Manhattan, with over 200 murals still standing today. The themes are guided by whatever teens think are their pressing issues at the time, ranging from identity and respect to immigrant rights. “It’s the rise of conscious possibility,” as Robyne put it. I love it! “Art for me is a tool to move an audience and create a dialog. The conversation continues long after one passes by [one of our murals],” explained Robyne. Through the sharing of meaningful art, whether it is in the physical world, as in Groundswell’s urban murals, or in the virtual space, as in Shadow’s Edge, the power of art to both express one’s sentiment and move emotions in others, is undeniably powerful. Remember that, next time you are spraying graffiti in Shadow’s Edge! What do you really want to say? For more information, check out Groundswell NYC.